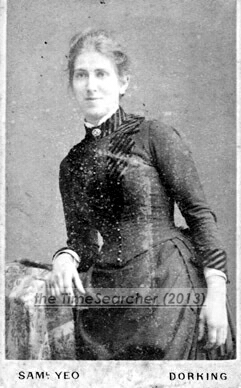 Elizabeth Tipper was a witness at the marriage of Charles Williamson and Mary Ann Tipper on 22 September 1869 in St. Chad's Church, Longford, Derbyshire; Entry #185 - Charles Williamson, 23, China Dealer of Wirksworth, son of Charles Williamson, a Joiner was Married after Banns to Mary Ann Tipper, age 23, Spinster of Hollington, daughter of Thomas Tipper, Wheelwright. In the U.K.Census of 3 April 1881, Elizabeth was recorded as residing at Hanbury Hall, Hanbury, Staffordshire. Elizabeth Tipper was an Executor of the Will of Thomas Tipper written on 17 June 1891 in Hollington, Derbyshire; WILL of Thomas Tipper of Hollington in the parish of Longford, Wheelwright and Blacksmith. In the U.K.Census of 2 April 1911, Elizabeth was recorded as residing at Holly Bush Hall, Newborough, Burton on Trent, Staffordshire. who fell asleep october 27th. 1931. Probate for Elizabeth's Estate was granted on 11 January 1932 at Birmingham. Probate Register Entry - " Effects £842 11s. 1d. Anecdote She progressed from parlour to ladies maid and when older became housekeeper to the then owner. (Some say the Mundy family of Markeaton, Derby, others say the Clay Family). She served them for some 26 years and travelled with them widely, both at home and abroad, always taking a very small sewing machine, a practice she maintained until her death. Anecdote In great secrecy Elizabeth successfully claimed that as she had given up her career to look after her mother and then her father she was entitled to inherit Rose Cottage and Ebenezer Cottage, the family home. Her brother John of Ebenezer Cottage only found out when asked to sign a document drawn up by the vicar of Longford. As no separate deed existed for Ebenezer Cottage, Elizabeth would have received everything, including the workshops and land. John pleaded his right to live at Ebenezer Cottage and have the use of his workshops at Rose Cottage. Elizabeth sold Rose Cottage to her first cousin, Emma Wright. Ebenezer Cottage was sold to Earl Ferrers, who rented it back to John for the remainder of his life. Members of the Tipper family rented Rose Cottage for holidays or when visiting John until his death in 1931. In 1931, Ebenezer Cottage was bought from Earl ferrers by Tom Jackson and his wife Alice Maud, nee Bull, who was a niece of Elizabeth Tipper. Whilst working at Hollybush Hall, Elizabeth had met her cousin Edwin Tipper and his family who farmed and bred horses at nearby Newborough Hall Farm. Edwin's wife Martha, died in late 1913 and Edwin bought Cross Plains Farm from the estate of Sir William Bass (Brewers) on Tuesday 17 June 1913 for the sum of £4,300. It is not known if Martha ever lived at Cross Plains, but some little time after her death Edwin asked Elizabeth to live at Cross Plains and marry him. Elizabeth would have been 63 years old and Edwin about 65. It is likely that it was at about that time that Elizabeth sold the cottages, etc. at Hollington and was about to marry without changing her name. The wedding arrangements had been made but Edwin became seriously ill and died on 10 December 1915 but not before he had made arrangements for Elizabeth's welfare. She was to have the use of two rooms for herself and allowed to make Cross Plains her permanent home if she so desired. She lived in some style at Cross Plains during the winter months and spent the Spring and Summer travelling and visiting her many relatives, arriving without notice and often staying 3 or 4 weeks. She always insisted on paying for board and lodgings etc., and always the same amount to each relative. One of her last visits was to her nephew John at "Woodside", Stretton near Clay Cross. She carefully ascertained that his wife, Lizzy, would comfortably off in the event of John's death and so cut him out of her will. Shortly after this visit she died at Cross Plains on 27 October 1931 aged 81 years and was buried in Stapenhill Cemetery near Burton on Trent, not far from the grave of her younger sister Hannah Bull who had died in 1909 aged 51 years..
Ernest Tipper, son of Edwin remembered his maiden aunt who had always lived with them. He recollected the night that she died and the internal kitchen door being taken off its hinges on which she was 'laid out' supported by two kitchen chairs. [S107] General Register Office - Index of Births, Q3 1850 Ashbourne 19 - 392. [S1] "Personal Research of Martin F.Jackson", between 1980 and 2019. ( Wynne Moore's Birthday Book. ). (Examined at the Church by Martin Jackson in 1980). [S351] Date & Place details extracted from the "Derbyshire Registrar's Marriage Index" held by the Derbyshire Family History Society. DFHS Ref. No. Ashbourne LGD/01/093. [S108] General Register Office - Index of Marriages, Q3 1869 Ashbourne 7b 735. [S1871] The 1871 U.K. Census was taken on the night of 1/2 April 1871. PRO Ref: RG10 Piece: 3570; Folio: 72; Page: 6 ; Schedule 25. [S1881] The 1881 U.K. Census was taken on the night of 3/4 April 1881. PRO Ref: RG11 Piece: 2753; Folio: 86; Page: 5; Schedule: 28. [S1901] The 1901 U.K. Census was taken on the night of 30/31 March 1901. PRO Ref: RG13 Piece: 3237; Folio: 71; Page 10; Schedule: 8. [S1911] The 1911 U.K. Census was taken on the night of 2 April 1911. PRO Ref: RG14PN16730 RG78PN1037 RD364 SD2 ED4 SN19. [S680] "Tippers of Hollington, Derbyshire 1765 - 1997; Privately published by John L.Wain", published in 1997 by John L. Wain. "Tippers of Hollington" Page 32. [S109] General Register Office - Index of Deaths, Q4 1931 Uttoxeter 6b 343 age 81. [S120] Martin Jackson has included these details by using information from other resources:- date extracted from Proving of Will. [S317] Mourning Card for the funeral. [S680] "Tippers of Hollington, Derbyshire 1765 - 1997; Privately published by John L.Wain", published in 1997 by John L. Wain. "Tippers of Hollington" Page 30. Emma Tipper, daughter of Thomas Tipper and Sarah Bull, was married to Edward George Clarke, son of Frederick Clarke and Sarah Leighton, in St. Michael's Church, Macclesfield, Cheshire, in 1876. [S107] General Register Office - Index of Births, Q1 1853 Ashbourne 7b 427. [S108] General Register Office - Index of Marriages, Q3 1876 Macclesfield 8a 185. [S1881] The 1881 U.K. Census was taken on the night of 3/4 April 1881. PRO Ref: RG11 Piece: 3495; Folio: 3; Page: 2 ; Schedule: 9. [S1891] The 1891 U.K. Census was taken on the night of 4/5 April 1891. PRO Ref: RG12 Piece: 2815; Folio: 83; Page 25; Schedule 173. [S109] General Register Office - Index of Deaths, Q1 1892 Macclesfield Volume: 8a, Page: 118. aged 39 years. [S120] Martin Jackson has included these details by using information from other resources:- Death Date of Death and Place are stated in the Mourning Card. She was buried in St. Chad's Church, Longford on Tuesday, 19 November 1861. [S107] General Register Office - Index of Births, Q2 1855 Ashbourne 7b 454. [S109] General Register Office - Index of Deaths, Q4 1861 Ashbourne 7b 273. [S352] Date & Place details extracted from the "Derbyshire Registrar's Death Index" held by the Derbyshire Family History Society. DFHS Ref. No. Ashbourne BFDD/04/081. (Parish Register examined by Martin Jackson). Arthur Tipper, son of John Tipper and Mary Clark, was born in Hollington, Derbyshire, on Saturday, 4 June 1864, his Birth was Registered at the Ashbourne Register Office in the Apr-May-Jun Quarter of 1864.1,2 He was Baptised on Sunday, 25 September 1864 in St. Chad's Church, Longford, Derbyshire . In the U.K.Census of 3 April 1881, Arthur was recorded as residing at Mill Street, Cannock, Staffordshire. He moved to Burton on Trent in 1883 and worked at Bass, Ratcliffe and Gratton's Brewery. He was also a part-time soldier in the Staffordshire Rifle Volunteers. In the U.K.Census of 5 April 1891, Arthur was recorded as residing at Market Place, Bolsover, Derbyshire. Arthur Tipper, son of John Tipper and Mary Clark, was married to Annie Elizabeth Robins in Saltergate Wesleyan Chapel, Chesterfield, Derbyshire, in 1891. Anecdote Following the deaths of his wife and daughter, it was left to his younger brother John, to settle all their affairs. [S107] General Register Office - Index of Births, Q2 1864 Ashbourne 7b 480. [S1] "Personal Research of Martin F.Jackson", between 1980 and 2019. ( Date of Birth listed on a Family Register, prepared for Christmas 1889 ). [S1871] The 1871 U.K. Census was taken on the night of 1/2 April 1871. PRO Ref: RG10 Piece: 3596; Folio: 48; Page 17; Schedule 86. [S680] "Tippers of Hollington, Derbyshire 1765 - 1997; Privately published by John L.Wain", published in 1997 by John L. Wain. "Tippers of Hollington" Page 37. [S1881] The 1881 U.K. Census was taken on the night of 3/4 April 1881. PRO Ref: RG11 FHL Film 1341666 PRO Ref RG11 Piece: 2783; Folio: 21; Page 34. [S109] General Register Office - Index of Deaths, Q4 1890 Ashbourne 7b 377 age 51. [S352] Date & Place details extracted from the "Derbyshire Registrar's Death Index" held by the Derbyshire Family History Society. DFHS Ref. No. Ashbourne BFDD/07/049. [S1891] The 1891 U.K. Census was taken on the night of 4/5 April 1891. PRO Ref: RG12 Piece: 2767; Folio: 14; Page: 22; Schedule: 138. [S108] General Register Office - Index of Marriages, Q4 1891 Chesterfield 7b 1405. [S351] Date & Place details extracted from the "Derbyshire Registrar's Marriage Index" held by the Derbyshire Family History Society. DFHS Ref. No. Chesterfield RO/25/110. [S1901] The 1901 U.K. Census was taken on the night of 30/31 March 1901. PRO Ref: RG13 Piece: 2636; Folio: 26; Page: 8 ; Schedule 49. [S1911] The 1911 U.K. Census was taken on the night of 2 April 1911. PRO Ref: RG14 PN21224 RG78PN1263 RD4439 SD3 ED9 SN41. [S1911] The 1911 U.K. Census was taken on the night of 2 April 1911. PRO Ref: RG14 PN21224 RG78 PN1263 RD4439 SD3 ED9 SN41. [S109] General Register Office - Index of Deaths, Q2 1911 Bakewell 7b 446 age 46. [S680] "Tippers of Hollington, Derbyshire 1765 - 1997; Privately published by John L.Wain", published in 1997 by John L. Wain. "Tippers of Hollington" Page 38. [S352] Date & Place details extracted from the "Derbyshire Registrar's Death Index" held by the Derbyshire Family History Society. DFHS Ref. No. Bakewell TDD/24/073. [S680] "Tippers of Hollington, Derbyshire 1765 - 1997; Privately published by John L.Wain", published in 1997 by John L. Wain. "Tippers of Hollington" Page 39. In the U.K.Census of 3 April 1881, Charlotte was recorded as residing at The Red House, Whiston Road, Whiston, Yorkshire. In the U.K.Census of 5 April 1891, Charlotte was recorded as residing at The Mill House, Dorking, Surrey. Charlotte Tipper, daughter of John Tipper and Mary Clark, was married to Alfred J. Cowlard, son of Alfred Cowlard and Sarah Hook, on Sunday, 30 December 1894 at St. Paul's Church, London, Middlesex. [S107] General Register Office - Index of Births, Q1 1866 Ashbourne 7b 474. [S1] "Personal Research of Martin F.Jackson", between 1980 and 2019. ( Date of Birth listed on a Family Register, prepared for Christmas 1889 - although the 1939 Register states that the DoB was 27 July 1865 ). [S1881] The 1881 U.K. Census was taken on the night of 3/4 April 1881. PRO Ref: RG11 Piece: 4673; Folio: 70; Page 30. [S1891] The 1891 U.K. Census was taken on the night of 4/5 April 1891. PRO Ref: RG12 Piece: 575; Folio: 18; Page 14; Schedule 53. (Image and Details extracted by Martin Jackson). [S108] General Register Office - Index of Marriages, Q4 1894 St.George Hanover Sq. 1a 782. [S1901] The 1901 U.K. Census was taken on the night of 30/31 March 1901. PRO Ref: RG13 Piece: 84; Folio: 9; Page: 10; Schedule: 39. [S1911] The 1911 U.K. Census was taken on the night of 2 April 1911. PRO Ref: RG14 PN433 RG78 PN15 RD5 SD2 ED2 SN38. [S109] General Register Office - Index of Deaths, Q3 1939 Westminster Vol: 5c, Page: 395. Aged 73 years. [S1939] U.K. 1939 Register Transcription for England & Wales, Ref: RG101/1270B/008/14 Letter Code: CKFF. Schedule: 86 Sub-Number: 1. [S109] General Register Office - Index of Deaths, Q2 1947 Westminster Vol: 5c, Page: 395. Aged 81 years. In the U.K.Census of 3 April 1881, Horace was recorded as residing at Burrows, Brailsford, Derbyshire. In the U.K.Census of 5 April 1891, Horace was recorded as residing at 5 Guthrie Street, Chelsea, London. Horace Rowland Tipper, son of John Tipper and Mary Clark, was married to Mary Ann Veal in London in 1891. Anecdote Horace began his working life as a farm labourer, but eventually followed his sister Charlotte to London. He became a gardener and worked for a Messrs. Wills and Seager in South Kensington. He lived at 137 Sidney Street, Kings Road SW and applied to join the Metropolitan Police on 20 April 1889, being stationed at 'B' Division, Chelsea. On 19 December 1891 he was transferred to 'S' Division at Hampstead. He resigned on 25 October 1900 after only 11 year's service. No explanation was given. [S107] General Register Office - Index of Births, Q2 1868 Ashbourne 7b 485. [S1881] The 1881 U.K. Census was taken on the night of 3/4 April 1881. PRO Ref: RG11 Piece: 3421; Folio: 13; Page 19. [S108] General Register Office - Index of Marriages, Q2 1891 Chelsea 1a 585. [S1901] The 1901 U.K. Census was taken on the night of 30/31 March 1901. PRO Ref: RG13 Piece: 1243; Folio: 155; Page 67; Schedule 420. [S109] General Register Office - Index of Deaths, Q4 1910 Barnet 3a 188 age 42. [S680] "Tippers of Hollington, Derbyshire 1765 - 1997; Privately published by John L.Wain", published in 1997 by John L. Wain. "Tippers of Hollington" Page 44. [S67] Paul Wigmore, "Research by Paul Wigmore." Sarah Ada Tipper, daughter of John Tipper and Mary Clark, was married to William John Anderson on Tuesday, 26 April 1910 at St. Chad's Church, Longford, Derbyshire. St. Chad's Church Marriage Register Entry - "Entry #349 - William John Anderson of Clay Cross, age 28, Engineer, son of John Anderson Police Officer(deceased) was Married to Sarah Ada Tipper, age 39, Spinster of Hollington, daughter of John Tipper, Wheelwright. [S107] General Register Office - Index of Births, Q3 1870 Ashbourne 7b 482. [S1881] The 1881 U.K. Census was taken on the night of 3/4 April 1881. PRO Ref: RG11 Piece: 3421; Folio: 45; Page 16; Schedule 37. [S1891] The 1891 U.K. Census was taken on the night of 4/5 April 1891. PRO Ref: RG12 Piece: 2751; Folio: 38; Page 15; Schedule 95. [S1901] The 1901 U.K. Census was taken on the night of 30/31 March 1901. PRO Ref: RG13 Piece: 3237; Folio: 71; Page 10; Schedule: 6. (Re-research of this record undertaken and image of Register Entry downloaded by Martin Jackson on 2 May 2018). [S351] Date & Place details extracted from the "Derbyshire Registrar's Marriage Index" held by the Derbyshire Family History Society. DFHS Ref. No. Ashbourne LGD/ 01/175. [S108] General Register Office - Index of Marriages, Q2 1910 Ashbourne 7b 1253. [S1911] The 1911 U.K. Census was taken on the night of 2 April 1911. PRO Ref: RG14 PN21055 RG78 PN1256 RD438 SD1 ED1 SN159. [S109] General Register Office - Index of Deaths, Q3 1936 Worksop Vol: 7b, Page: 31. [S680] "Tippers of Hollington, Derbyshire 1765 - 1997; Privately published by John L.Wain", published in 1997 by John L. Wain. Details extracted from John L. Wain's book - "The TIPPERS of Hollington." William John Anderson was born about 1882, calculated from stated age at Marriage. William John Anderson was married to Sarah Ada Tipper, daughter of John Tipper and Mary Clark, on Tuesday, 26 April 1910 at St. Chad's Church, Longford, Derbyshire. At Derby on 19th January 1891, Herbert attended an Army Medical Board, where it was stated that he was a Labourer of Hollington, Derbyshire, and 18 years and 11 months old. He was 5' 101/2" tall and 160 lbs weight, with a fair complexion, blue eyes and brown hair. His religion was recorded as 'Church of England'. On 21 January 1891, Herbert joined the 3rd. Battalion - Grenadier Guards in London, his Service number was 2826. He was admited to Hospital in London on 3 July 1893 with 'Dyspepsia' and discharged on 5 August 1893. Diagnosis - 'Pain at Pericardium & Systolic Murmer'. In the U.K.Census of 5 April 1891, Herbert was recorded as residing at Caterham Barracks, Caterham, Surrey. Herbert Tipper, son of John Tipper and Mary Clark, was married to Emma Sarah Roberts, daughter of John S. Roberts and Susan, on Sunday, 18 March 1900 at All Saints Church, Islington, London. Herbert Tipper began military service again on 14 December 1915. Herbert Tipper of 3 Florence Crescent, Toronto. Next of Kin - Mrs. Emma Sarah Tipper of 3 Florence Crescent, Toronto; Wife. Date of Birth - February 12 1872. Declaration made, Oath Taken and Certificate signed by a Magistrate on 14 December 1915. Guards. Understands the Nature and Terms of Engagement, and willing to be Attested to serve in the Canadian Over-Seas Expeditionary Force. Description and Medical Examination on Enlistment. Apparent Age - 43 years and 10 months. Height - 6 ft 0 ins. Chest 391/2 inches with expansion of 21/2 inches. Herbert returned to Canada in 1919. On Thursday, 3 April 1919, he departed from Liverpool, travelling on vessel "S.S.Lapland" and arrived at Halifax, Nova Scotia, on 10 April 1919, having served in WWI, he was slightly wounded and returned to Hollington, eventually returning to his wife in Toronto. 773406 L/Cpl Herbert Tipper Reserve Unit C.R.T. Dependant Wife in Toronto. Herbert is recorded as the Head of Household in the Canadian Census of 1 June 1921 at Humbolt, Saskatchewan, Canada. This Census included Herbert and also Emma Tipper nee Roberts, Herbert Arthur Tipper, Emma Florence Tipper and John William Tipper, as living in the Household, as follows. He was buried in Lloydminster Cemetery, Lloydminster, Saskatchewan, Canada, in May 1937. Anecdote Herbert had emigrated to Canada in1913. sailing from London Docks. When Herbert had found work and a place to live his wife and 4 children followed him, sailing from Liverpool for Quebec on 1 October 1913. He joined the Canadian Army and fought in the First World War, slightlty wounded, he returned to Hollington leaving his wife and children to fend for themselves in Canada. With so many men away in the War, Herbert is said to have had a good time with the ladies in Hollington, his father, John, was not best pleased! Returning home in the early hours, Herbert found his father collapsed on the cottage floor in great pain. He managed to get him to the Derbyshire Royal Infirmary where he was operated on for a strangled hernia. Although Herbert had doubtless saved his father's life he was given little peace until he returned to Canada and his family. [S107] General Register Office - Index of Births, Q1 1872 Ashbourne 7b 531. [S1881] The 1881 U.K. Census was taken on the night of 3/4 April 1881. PRO Ref: RG11 Piece: 3421; Folio: 46; Page 17; Schedule 37. [S1026] Chelsea Pensioner Applications of unknown name of person "National Archives Ref. WO97 / 4030 / 55 extracted by Heather Eaton." [S1891] The 1891 U.K. Census was taken on the night of 4/5 April 1891. PRO Ref: RG12 Piece: 584; Folio: 123; Page: 5 Line: 19. [S108] General Register Office - Index of Marriages, Q1 1900 Islington 1b 225. [S1901] The 1901 U.K. Census was taken on the night of 30/31 March 1901. PRO Ref: RG13 Piece: 202; Folio: 8; Page: 8 ; Schedule 67. [S1911] The 1911 U.K. Census was taken on the night of 2 April 1911. PRO Ref: RG14PN2564 RG78PN86 RD27 SD5 ED21 SN147. [S120] Martin Jackson has included these details by using information from other resources:- Details Researched and Extracted by Martin Jackson on 10 October 2017. [S120] Martin Jackson has included these details by using information from other resources:- Details Researched and Extracted from Find A Grave Index, by Martin Jackson on 10 October 2017. [S680] "Tippers of Hollington, Derbyshire 1765 - 1997; Privately published by John L.Wain", published in 1997 by John L. Wain. "Tippers of Hollington" Page 46 & 47. 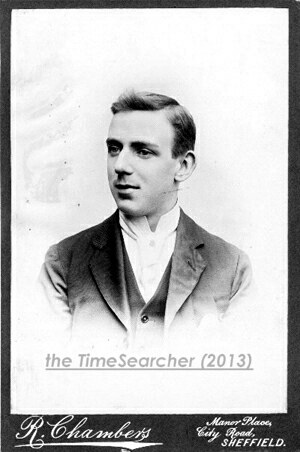 Thomas Tipper, son of John Tipper and Mary Clark, was born in Hollington, Derbyshire, on Wednesday, 8 March 1876, his Birth was Registered at the Ashbourne Register Office in the Apr-May-Jun Quarter of 1876.1,2 , son of John Tipper and Mary Clark, was Baptised on Sunday, 21 May 1876in Burton on Trent, Staffordshire. In the U.K.Census of 5 April 1891, Thomas was recorded as residing at Cubley Lane, Marston Montgomery, Derbyshire. In the U.K.Census of 31 March 1901, Thomas was recorded as residing at Stretton, Clay Cross, Derbyshire. [S107] General Register Office - Index of Births, Q2 1876 Ashbourne 7b 611. [S1891] The 1891 U.K. Census was taken on the night of 4/5 April 1891. PRO Ref: RG12 Piece: 2195; Folio: 76; Page: 8 ; Schedule 58. [S1901] The 1901 U.K. Census was taken on the night of 30/31 March 1901. PRO Ref: RG13 Piece: 3245; Folio: 38; Page: 28; Schedule: 123. [S1911] The 1911 U.K. Census was taken on the night of 2 April 1911. PRO Ref: RG14 PN21056 RG78 PN1256 RD438 SD1 ED2 SN59. [S109] General Register Office - Index of Deaths, Q4 1918 Chesterfield 7b 1757 aged 42 years. [S352] Date & Place details extracted from the "Derbyshire Registrar's Death Index" held by the Derbyshire Family History Society. DFHS Ref. No. Chesterfield CHD/132/295. In the U.K.Census of 31 March 1901, Edgar was recorded as residing at 45 Manton Street, Sheffield, Yorkshire. Edgar William Tipper, son of John Tipper and Mary Clark, was married to Ida Clarrisa Madge Hague, daughter of Edward Hague and Annie, in Sheffield, Yorkshire, in 1906. [S107] General Register Office - Index of Births, Q1 1881 Ashbourne 7b 635. [S1901] The 1901 U.K. Census was taken on the night of 30/31 March 1901. PRO Ref: RG13 Piece: 4368; Folio: 167; Page 35; Schedule 211. [S108] General Register Office - Index of Marriages, Q2 1906 Sheffield 9c 1179. [S1911] The 1911 U.K. Census was taken on the night of 2 April 1911. PRO Ref: RG14PN27901 RG78PN596 RD510 SD3 ED9 SN280. [S1939] U.K. 1939 Register Transcription for England & Wales, Ref: RG101/3559I/020/30 Letter Code: KIVB. Schedule: 259 Sub-Number: 1. [S1939] U.K. 1939 Register Transcription for England & Wales, Ref: RG101/3559I/020/30 Letter Code: KIVB. Schedule: 259 Sub-Number: 2. [S1939] U.K. 1939 Register Transcription for England & Wales, Ref: RG101/3559I/020/30 Letter Code: KIVB. Schedule: 259 Sub-Number: 3. [S1939] U.K. 1939 Register Transcription for England & Wales, Ref: RG101/3559I/020/30 Letter Code: KIVB. Schedule: 259 Sub-Number: 4. [S109] General Register Office - Index of Deaths, Q2 1949 Sheffield 2d 254 age 68. [S680] "Tippers of Hollington, Derbyshire 1765 - 1997; Privately published by John L.Wain", published in 1997 by John L. Wain. "Tippers of Hollington" Page 52. He picked up some woodworking skills in his father's workshop, but on leaving school only worked as a farm labourer, mainly with horses and cattle. In 1897 at Burton on Trent Statutes (Hiring Fair) he was hired by William Salt of Hill Top Farm, Longford near Hollington. At the same time, William's sister Annie Salt, hired a kitchen maid, Mary Elizabeth Frost, to help her in the farm kitchen. Lizzy Frost had first been sold into service by her parents when she was 13 years old. She had been hired for 9 pence by the Landlord of the Bull's Head public house / farm in Repton. In her first year she ran away home to Newhall twice. In 1898, when it became obvious that John and Lizzy were courting seriously, Miss Annie explained that the farm rules did not allow this sort of thing, and as she could not ask her brother to let John go from the farm, Lizzy would have to find another job. She went as a Cook to a Doctor and Mrs. Clifton of Uttoxeter Road, Derby where she stayed until she and John were married. It is not known if John moved from Hill Top Farm because of this, but on 10 March 1899 when he applied to join the Derbyshire Constabulary he gave his address as Cockshutt Hill in Quarndon, Derby. John Tipper, son of John Tipper and Mary Clark, was married to Mary Elizabeth Frost, daughter of Thomas Frost and Jemima Collier, on Wednesday, 10 January 1900 at St. John's Church, Newhall, Derbyshire. One of Lizzy's wedding gifts from her father in law, was a copper warming pan that his own wife had received on their wedding in 1863. Elizabeth Tipper from Cross Plains attended the wedding and gave Lizzy half a dozen linen handkerchiefs, saying that had John not taken to tobacco (he smoked a pipe until the day he died!) he would have received a worthwhile monetary gift, Lizzy replied that if there was nothing for John there was nothing for herself and promptly gave the handkerchiefs back. Anecdote John served on the Desborough Committee set up by the Government to look into Police Conditions of Service. He also represented Derbyshire on the Police Federation when it was formed in 1919. 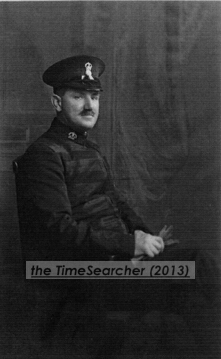 Anecdote John served in the Derbyshire Police Force for 30 years and 304 days. Anecdote On his retirement his salary was £360 per year, therefore he qualified for a pension of £240 per year, 2/3 of his salary. Shortly before his retirement he had bought "Woodside" at Stretton near to Clay Cross, part of the Stretton House Estate, it was described as the Gardener's Cottage. Standing in its own grounds it had a paddock, orchard, small wood and 2 fields (a small boy's paradise). John used the fields to raise and fatten young beasts before selling them on at Chesterfield Cattle Market. Lizzy kept hens, reared chickens and fattened cockerels for Christmas, selling her produce to her many friends in Clay Cross. John bought basic slag from the Clay Cross Ironworks, lime from Arnold Hodgkinson at Longcliffe Quarries and arranged its transport to farms in the Ashover area. (John was his first customer and life long friend). He supplied seeds, oil from Silkolene at Belper and developed a thriving agricultural merchants business, He was also the Secretary to the Clay Cross Company's Agricultural Division, arranging their steam traction engine and machine threshing machine programme in the Ashover area. "Woodside" was reluctantly sold in 1937. Lizzy found that the steep climb out of the valley to catch the bus on the main road a bit too much, so John bought a piece of land from the landlord, Mr. Priestly of the Royal Oak at Old Tupton. He built a modern bungalow on Ashover Road and ran his business from there, with the help of 2 storage units in Clay Cross Station Goods Yard. On 25 August 1939 John rejoined the Police Force as a Wartime Reserve Inspector. The locals who remembered him well made him very welcome, but the regular Inspector seemed to resent his popularity so much that he put him on permanent night duty, amongst other things. After nearly getting crushed between wagons in Clay Cross Company's blacked out shunting yard he had had enough of Inspector Pike, who he had known since he was an assistant gamekeeper on the Chatsworth Estate when John was a Police Sergeant at Bakewell in 1916. He wrote no letter of resignation, but simply folded up his uniform, put it in one of the cells at the 'Lock-Up' and walked out. He had served an extra year and 160 days, leaving on 31 January 1941. John continued his business throughout the War years and after, but was increasingly bothered by stomach trouble and Angina. He refused to curtail any of his many activities, relying increasingly on his little white pills to get him through. Anecdote An Illuminated Address was received shortly before his death which expresses the regard in which he was held, as does the report of his funeral in the "Derbyshire Times". Miss E Bassett JP & Miss Kitty Bassett (from the Licorice Allsorts family). G A Kenning, (Sir George Kenning) who founded Kenning Garage Group. [S107] General Register Office - Index of Births, Q1 1878 Ashbourne 7b 591. [S680] "Tippers of Hollington, Derbyshire 1765 - 1997; Privately published by John L.Wain", published in 1997 by John L. Wain. "Tippers of Hollington" Page 56. (Details suppied in email from Chris Tipper to Martin Jackson on 25 January 2010 after a visit to DRO at Matlock on 20 Jan. 2010). [S351] Date & Place details extracted from the "Derbyshire Registrar's Marriage Index" held by the Derbyshire Family History Society. DFHS Ref. No. Derby C411/02/172. [S108] General Register Office - Index of Marriages, Q1 1900 Burton on Trent 6b 501. [S680] "Tippers of Hollington, Derbyshire 1765 - 1997; Privately published by John L.Wain", published in 1997 by John L. Wain. "Tippers of Hollington" Page 57 mentions actual date of marriage. [S680] "Tippers of Hollington, Derbyshire 1765 - 1997; Privately published by John L.Wain", published in 1997 by John L. Wain. "Tippers of Hollington" Page 57. [S680] "Tippers of Hollington, Derbyshire 1765 - 1997; Privately published by John L.Wain", published in 1997 by John L. Wain. "Tippers of Hollington" Page 58 & 59. [S1901] The 1901 U.K. Census was taken on the night of 30/31 March 1901. PRO Ref: RG13 Piece: 3239; Folio: 26; Page: 2; Schedule: 15;. [S1911] The 1911 U.K. Census was taken on the night of 2 April 1911. PRO Ref: RG14 PN21289 RG78 PN1267 RD442 SD1 ED1 SN62. [S680] "Tippers of Hollington, Derbyshire 1765 - 1997; Privately published by John L.Wain", published in 1997 by John L. Wain. "Tippers of Hollington" Page 59 & 64. [S1939] U.K. 1939 Register Transcription for England & Wales, Ref: RG101/5902B/014/6 Letter Code: RBKE. Schedule: 462 Sub-Number: 1. [S1939] U.K. 1939 Register Transcription for England & Wales, Ref: RG101/5902B/014/6 Letter Code: RBKE. Schedule: 462 Sub-Number: 2. [S1939] U.K. 1939 Register Transcription for England & Wales, Ref: RG101/5902B/014/6 Letter Code: RBKE. Schedule: 462 Sub-Number: 3. [S680] "Tippers of Hollington, Derbyshire 1765 - 1997; Privately published by John L.Wain", published in 1997 by John L. Wain. "Tippers of Hollington" Page 70. [S352] Date & Place details extracted from the "Derbyshire Registrar's Death Index" held by the Derbyshire Family History Society. DFHS Ref. No. Chesterfield BOLD/35/356. [S680] "Tippers of Hollington, Derbyshire 1765 - 1997; Privately published by John L.Wain", published in 1997 by John L. Wain. "Tippers of Hollington" Page 74. [S680] "Tippers of Hollington, Derbyshire 1765 - 1997; Privately published by John L.Wain", published in 1997 by John L. Wain. "Tippers of Hollington" Page 59. [S680] "Tippers of Hollington, Derbyshire 1765 - 1997; Privately published by John L.Wain", published in 1997 by John L. Wain. "Tippers of Hollington" Page 64, 67 &70. Martha Cooper, daughter of Daniel Cooper, was born in Langley, Derbyshire, about 1823, calculated from 1851 Census Entry. She was Baptised on Sunday, 30 March 1823 in St. Michael's Church, Kirk Langley, Derbyshire . Martha Cooper, daughter of Daniel Cooper, was married to Isaac James Tipper, son of John Tipper and Elizabeth Hoose, in St. Alkmund's Church, Duffield, Derbyshire, on Monday, 16 October 1848. [S108] General Register Office - Index of Marriages, Q4 1848 Belper 19 - 454. [S351] Date & Place details extracted from the "Derbyshire Registrar's Marriage Index" held by the Derbyshire Family History Society. DFHS Ref. No. Amber Valley DU/05/103. [S1851] The 1851 U.K. Census was taken on the night of 29/30 March 1851. PRO Ref: HO 107 / Piece: 2013; Folio: 43; Page 11; Schedule 39. [S109] General Register Office - Index of Deaths, Q3 1854 Tamworth 6b 175. James Cooper, son of Isaac James Tipper and Martha Cooper, was born in Dalbury Lees, Derbyshire, about 1846. 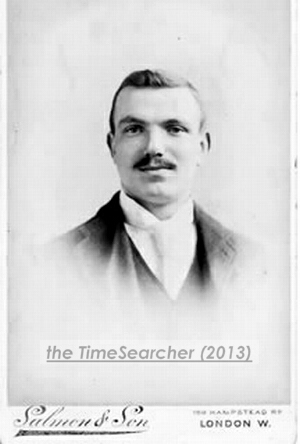 James was known as Tipper in all Census Entries but is Married as Cooper in 1890. In the U.K.Census of 2 April 1871, James was recorded as residing at 7 Croxall, Croxall Village, Derbyshire. In the U.K.Census of 3 April 1881, James was recorded as residing at Main Street, Alrewas, Staffordshire. James Cooper, son of Isaac James Tipper and Martha Cooper, was married to Sarah Ann Padmore, daughter of Samuel Kirk and Ann Holmes, in Staffordshire in 1890. [S1861] The 1861 U.K. Census was taken on the night of 6/7 April 1861. PRO Ref: RG9 Piece: 1964; Folio: 37; Page 24; Schedule 138. [S1871] The 1871 U.K. Census was taken on the night of 1/2 April 1871. PRO Ref: RG10 Piece: 2909; Folio: 137; Page: 3 ; Schedule: 7. [S1881] The 1881 U.K. Census was taken on the night of 3/4 April 1881. PRO Ref: RG11 FHL Film 1341665 PRO Ref RG11 Piece: 2777; Folio: 34; Page 20. [S108] General Register Office - Index of Marriages, Q1 1890 Burton on Trent 6b 448. [S1891] The 1891 U.K. Census was taken on the night of 4/5 April 1891. PRO Ref: RG12 Piece: 2216; Folio: 96; Page 20; Schedule 140. [S1901] The 1901 U.K. Census was taken on the night of 30/31 March 1901. PRO Ref: RG13 Piece: 2657; Folio: 107; Page 16; Schedule 105. [S109] General Register Office - Index of Deaths, q2 1905 Lichfield 6b 273 aged 60. 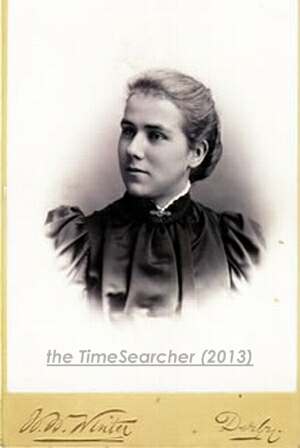 Mary Tipper, daughter of Isaac James Tipper and Martha Cooper, was born in Osliston, Derbyshire, about 1849. She was buried in All Saints Church, Alrewas on Friday, 17 July 1936. [S1881] The 1881 U.K. Census was taken on the night of 3/4 April 1881. PRO Ref: RG11 Piece: 2777; Folio: 33; Page 17; Schedule 98. [S1891] The 1891 U.K. Census was taken on the night of 4/5 April 1891. PRO Ref: RG12 Piece: 2216; Folio: 94; Page 16; Schedule 112. [S1901] The 1901 U.K. Census was taken on the night of 30/31 March 1901. PRO Ref: RG13 Piece: 2657; Folio: 107; Page: 16; Schedule: 104. [S1911] The 1911 U.K. Census was taken on the night of 2 April 1911. PRO Ref: RG14 PN16893 RG78 PN1045 RD367 SD2 ED3 SN29. [S109] General Register Office - Index of Deaths, Q3 1936 Lichfield 6b 385 aged 87. Caroline Tipper, daughter of John Tipper and Elizabeth Hoose, was born in 1815. She was Baptised on Sunday, 12 November 1815 in St. Paul's Church, Scropton, Derbyshire . Caroline Tipper, daughter of John Tipper and Elizabeth Hoose, was married to Thomas Kirkland on Monday, 8 June 1835 at St. Alkmund's Church, Duffield, Derbyshire. [S1841] The 1841 U.K. Census was taken on the night of 5/6 June 1841. PRO Ref: HO 107 / Piece: 180 / 1; Folio: 3; Page: 6. [S1851] The 1851 U.K. Census was taken on the night of 29/30 March 1851. PRO Ref: HO 107 / Piece: 2011; Folio: 41; Page 11; Schedule: 33. [S1861] The 1861 U.K. Census was taken on the night of 6/7 April 1861. PRO Ref: RG9 Piece: 1959; Folio: 8; Page: 12; Schedule: 66. [S1871] The 1871 U.K. Census was taken on the night of 1/2 April 1871. PRO Ref: RG10 Piece: 2896; Folio: 96; Page: 21; Schedule: 77. [S1881] The 1881 U.K. Census was taken on the night of 3/4 April 1881. PRO Ref: RG11 Piece: 2754; Folio: 11; Page: 16; Schedule: 45. [S109] General Register Office - Index of Deaths, Q4 1886 Burton 6b 193 aged 71. Thomas Bailey, son of Barnabas Bailey and Sarah Bradbury, was born in Leigh, Staffordshire, in 1826. He was Baptised on Sunday, 19 February 1826 in All Saints Church, Leigh, Staffordshire . Thomas Bailey, son of Barnabas Bailey and Sarah Bradbury, was married to Mary Ann Robins in Church of St. Michael & All Angels, Colwich, Staffordshire, in 1847. (Researched and details extracted on 18 January 2015 by Martin Jackson). [S108] General Register Office - Index of Marriages, Q1 1847 Stafford Vol: 17, Page: 140. [S1851] The 1851 U.K. Census was taken on the night of 29/30 March 1851. PRO Ref: HO 107 / Piece: 1999; Folio: 740; Page: 8; Schedule: 29. [S1861] The 1861 U.K. Census was taken on the night of 6/7 April 1861. PRO Ref: RG9 Piece: 1909, Folio: 76, Page: 1, Schedule: 2. Barnabas Bailey, son of Barnabas Bailey and Sarah Bradbury, was born in 1838. He was Baptised on Sunday, 20 May 1838 in All Saints Church, Leigh, Staffordshire . Barnabas Bailey, son of Barnabas Bailey and Sarah Bradbury, was married to Mira Bailey, daughter of Anne Bailey, on Monday, 3 August 1857 at the Church of St. James the Less, Fradswell, Staffordshire. the Church of St. James the Less Marriage Register Entry - "Entry #23 - Barnabas Bailey, aged 20 years, a Bachelor, a Labourer of Stowe, son of Barnabas Bailey, a Labourer and Mira bailey, aged 21 year, a Spinster of Fradswell, daughter of John Bailey, a Labourer, After Banns. He was buried in Cannock, Staffordshire, on Thursday, 10 October 1867. (Researched and details extracted on 17 January 2015 by Martin Jackson). [S1841] The 1841 U.K. Census was taken on the night of 5/6 June 1841. PRO Ref: HO 107 / Piece: 1007; Folio: 7/3; Page: 2. [S1851] The 1851 U.K. Census was taken on the night of 29/30 March 1851. PRO Ref: HO 107 / Piece: 1999; Folio: 738; Page: 5; Schedule: 18. (Details Researched and Extracted by Martin Jackson on 25 November 2015). (Details Researched and Extracted by Martin Jackson on 8 January 2019). [S108] General Register Office - Index of Marriages, Q3 1857 Stafford Vol: 6b, Page: 11. [S109] General Register Office - Index of Deaths, Q4 1867 Penkridge Vol: 6b, Page: 279. Aged 29 years. Jane Parsons, daughter of Joseph Parsons, was born about 1816, derived from Census information. Jane Parsons, daughter of Joseph Parsons, was married to Thomas Bailey, son of William Bailey and Mary Cook, in Stowe, Staffordshire, on Monday, 11 November 1844. [S108] General Register Office - Index of Marriages, Q4 1844 Stafford Vol: 17, Page: 163. [S1851] The 1851 U.K. Census was taken on the night of 29/30 March 1851. PRO Ref: HO 107 / Piece: 1999; Folio: 696; Page: 11; Schedule: 49. [S1861] The 1861 U.K. Census was taken on the night of 6/7 April 1861. PRO Ref: RG9 Piece: 1909; Folio: 79; Page: 7; Schedule: 36. [S1871] The 1871 U.K. Census was taken on the night of 1/2 April 1871. PRO Ref: RG10 Piece: 2821; Folio: 5; Page: 4; Schedule: 16. [S1881] The 1881 U.K. Census was taken on the night of 3/4 April 1881. PRO Ref: RG11 FHL Film 1341645 PRO Ref RG11 Piece: 2691; Folio: 71; Page: 5. Barnabas Bailey, son of Barnabas Bailey and Mira Bailey, was born in Staffordshire in 1857, his Birth was Registered at the Stafford Register Office in the Jul-Aug-Sep Quarter of 1857.1 He was Baptised on Sunday, 4 October 1857 in the Church of St. James the Less, Fradswell, Staffordshire . [S107] General Register Office - Index of Births, Q3 1857 Stafford Vol: 6b, Page: 17. [S1] "Personal Research of Martin F.Jackson", between 1980 and 2019. ( Census Details Researched by Martin Jackson on 25 November 2015 ). [S1871] The 1871 U.K. Census was taken on the night of 1/2 April 1871. PRO Ref: RG10 Piece: 2925; Folio: 24; Page: 41; Schedule: 232. Joan Holloway, daughter of Michael Holloway and Joan, was born about 1647, Estimated from date of Marriage. Mary Holloway, daughter of Michael Holloway and Joan, was born about 1650, Estimated from Marriage date. Mary Holloway, daughter of Michael Holloway and Joan, was married to John Tivey on Monday, 4 May 1671. John Tivey was born about 1650. John Tivey was married to Mary Holloway, daughter of Michael Holloway and Joan, on Monday, 4 May 1671. Francis Jelly was born about 1645, Estimated from Marriage date. Martha Holloway, daughter of Michael Holloway and Mary Wast, was born in 1687. Register Entry states - By Banns. John Low was born about 1685, Estimated from Marriage Date. Michael Holloway, son of Michael Holloway and Mary Wast, was born in 1690. Richard Holloway, son of Michael Holloway and Mary Wast, was born in 1694. Richard Holloway was married to Ann before 1742. Richard Holloway, son of Michael Holloway and Mary Wast, died in May 1743, in Hungry Bentley, Derbyshire,"entry states 'of Bentley'", he was survived by his wife Ann. Probate for Richard's Estate was granted on 28 May 1743 at Lichfield. Probate Register Entry -.2 ""
Ann was born about 1695, Estimated from her 2nd Marriage. Ann was married to Richard Holloway before 1742. Ann was left a Widow on the death of her husband, Richard in May 1743 in Hungry Bentley, Derbyshire. Ann Holloway was married to Richard Pegg on Tuesday, 21 September 1745 at St. Chad's Church, Longford, Derbyshire. She was buried in St. Chad's Church, Longford, Derbyshire, on Saturday, 7 August 1762. [S486] "Personal Research of Heather Eaton", between 1980 and 2015 e-mail July 2001. Richard Pegg was born about 1715, Estimated from Marriage date. Richard Pegg was married to Ann Holloway on Tuesday, 21 September 1745 at St. Chad's Church, Longford, Derbyshire.